GALLÉ, DESIGN FOR LUXURY BRANDS: Brand identity design for the London-based real estate management group. The Panther brand identity is defined by trust. Customers trust that Panther will live up to British values of fair play; sound business; clear, unambiguous speech; prompt and efficient service. 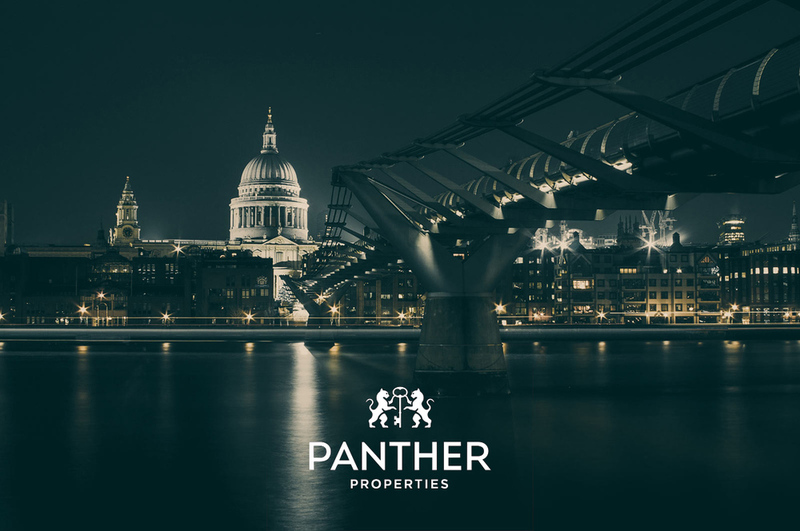 Trust in a small company comes from a different direction than trust in a large company: trust in Panther comes from the same place as trust in a long-established tailor on Jermyn Street. Panther's icon is made up of two panthers guarding a key, the actual item swapped between owners of a property when a transaction has been made. Keys hold a special position in European iconography: when a citizen is honoured, he is typically given the keys to the city. The name is written in a typeface that was used to write names on the sides of buildings in the early twentieth century. The brand colour is a very deep blue. In semiotic analysis, blue is the colour of good and trustworthy people: in fairy tales and films, the "goodie" often wears blue.